Listen to your friendly and knowledgeable audio guide provide expert narration as you travel through the ancient Joshua Tree Forest en route to the West Rim of the Grand Canyon for approximately 4 hours of sightseeing and exploration time. Pass by Diamond Bar Ranch, Located some 50 miles as the crow flies northeast of Kingman, Arizona, between the Grand Canyon and the second largest Joshua Tree forest in the state, this historic ranch has changed hands numerous times in the last couple of decades and still boasts an area of around 106,000 thousand acres (42896 hectares), yet at its peak the ranch encompassed 1.45 million acres. Start your experience of the Grand Canyon West Rim by enjoying an exhilarating helicopter and pontoon ride which will take you on a breathtaking descent into the Grand Canyon, landing about 100 feet away from the Colorado River. From there, you will be taken by a native guide down the Colorado River on a relaxing 20-minute cruise as you witness towering cliffs of the Grand Canyon from the calm water. 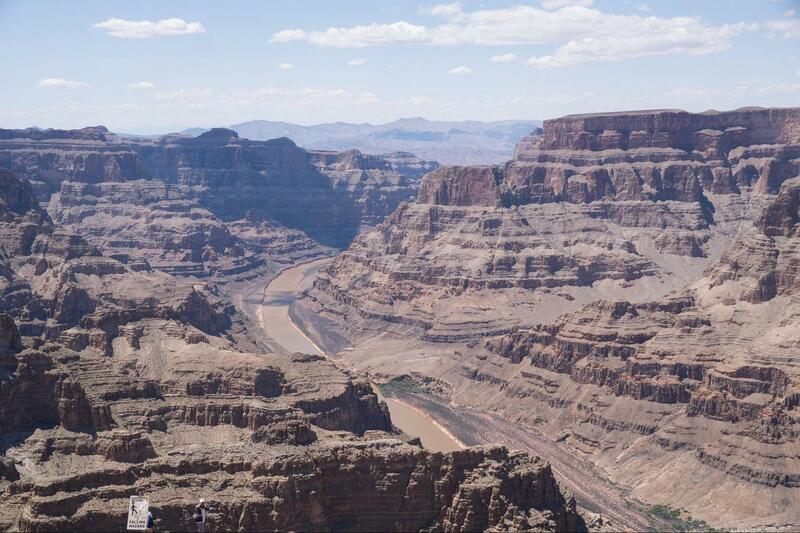 After finishing up your relaxing cruise, be swept away to the top of the Grand Canyon by Helicopter. Rejoin the Hualapai shuttle system to visit the remaining lookout points and grab some lunch, while you enjoy your lunch be blow away by the spectacular views of the Grand Canyon West Rim. Complete your journey with a nice relaxing ride back to Fabulous Las Vegas. I’ve never had a tour like this before—the guide made it one of the best trips I’ve ever taken, 1000% I recommend taking this tour with Juan. This is extremely fun! Very good tour. Is a little strenuous getting down to the boat from the helicopter. There are many stairs and a path. Fantastic day that we all loved and will never forget.The service was brilliant right from the start with an unexpected early morning call at exactly the right time.As we went through the day everything was explained perfectly and it all worked like clockwork.The Grand Canyon has such a big billing and it certainly lived up to all expectations.Special thanks to our driver Lafayette who entertained us all day, does he do standup as well?Thanks very much.Pete, Kate, Harvey and Felix Turnbull.England. Value for money - covered everything we wanted to do.